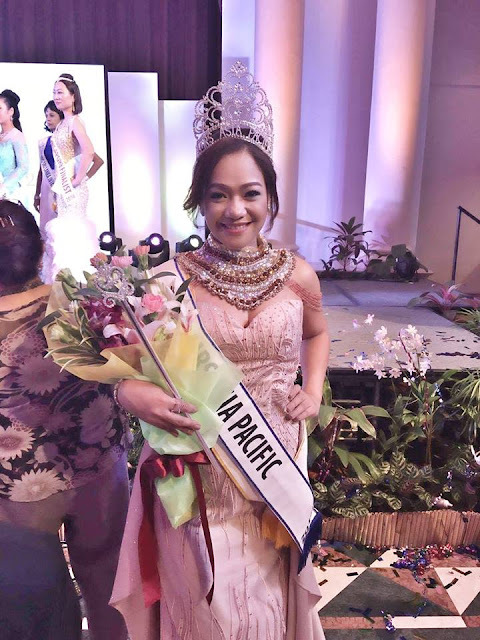 Mrs Philippines International 2016 Kristine Diane Nagasaka won the Mrs Asia-Pacific title last November 2 in Singapore during the 10th Mrs. International pageant. Kristine is a 34 years old and a Japan-based businesswoman from Laguna. 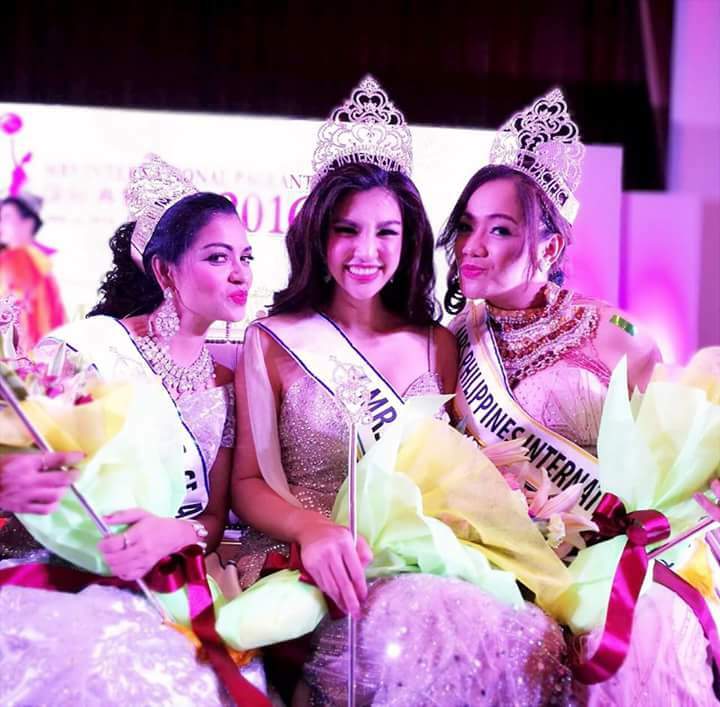 Mrs International 2016 is Mrs Thailand. Kristine's Mrs Asia-Pacific Title is equivalent to 1st Runner-up. 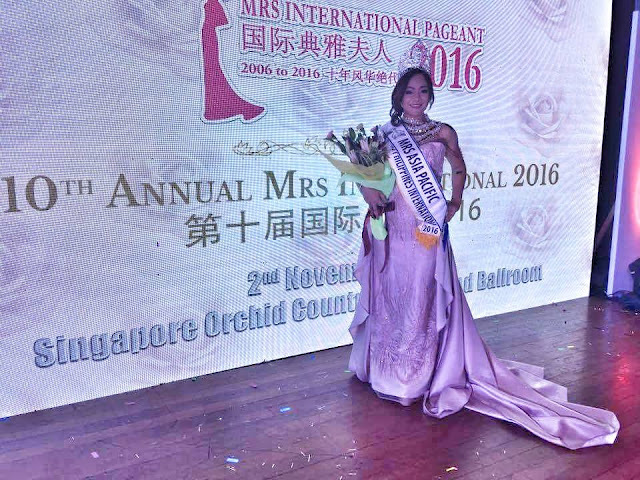 Mrs International 2016 marks its 10th anniversary in making beautiful married women to be more confident. The platform of the pageant revolves all around "Global Aging"
More than 60 women competed wanting to grab the 4 titles each age bracket - for mrs. Category (30yrs to 40yrs) and elite mrs. Category (50yrs and above).